Even if vision is the most important sense for video games, there’s no reason why the haptics of the office environment belonging to one of the biggest international gaming manufacturers shouldn’t be appealing too. 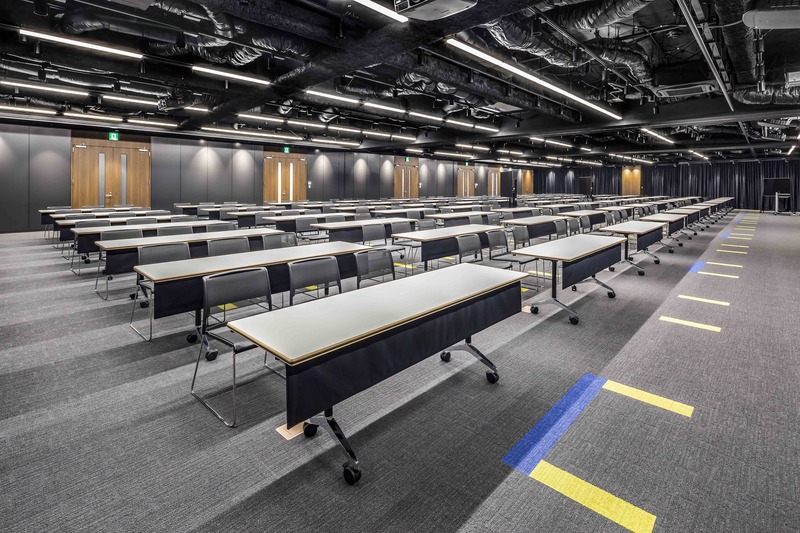 At the Sega Sammy Group’s headquarters in Tokyo, the architects from Meiho Facility Works (Tokyo) didn’t scrimp on the materials but selected a sophisticated mix of classy, natural materials to lend the crisply designed rooms a sense of depth and warm elegance. 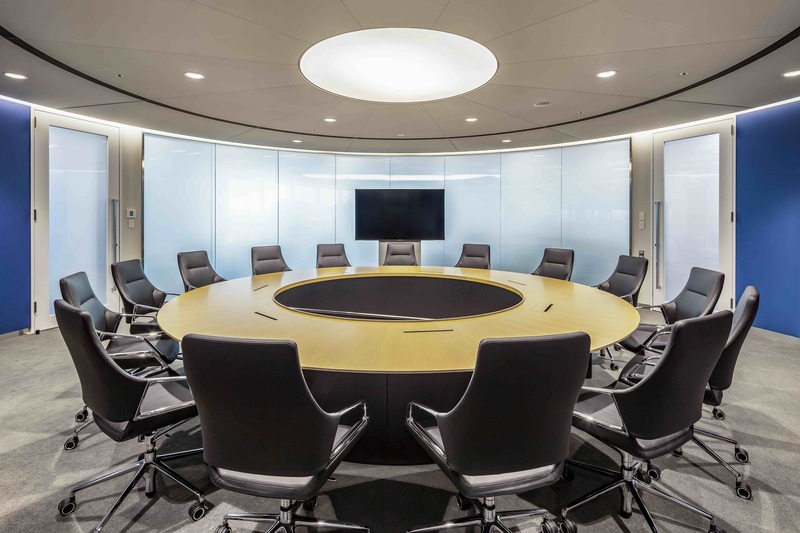 This approach is highlighted in the various conference rooms, the communicative hubs of the company’s headquarters. Wilkhahn’s Graph conference chairs (design: jehs+laub), Modus (design: wiege) and Sola (design: Justus Kolberg) play an important role in these settings. 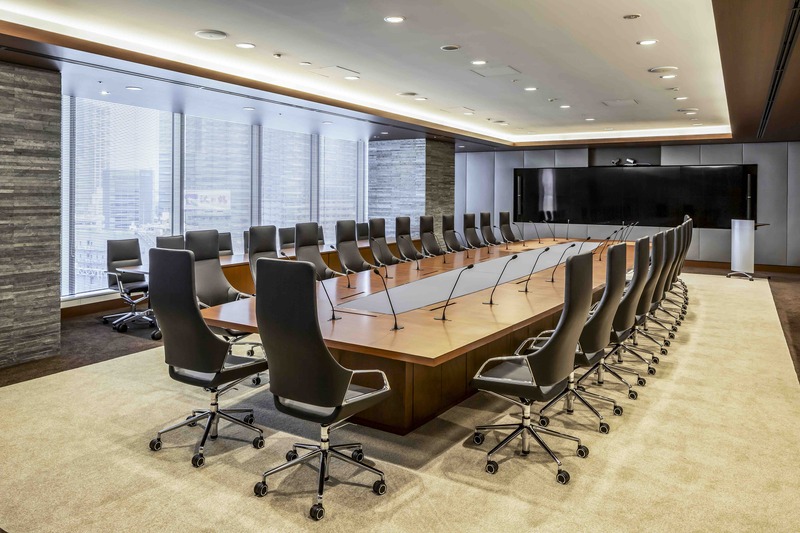 Some 24 Graph chairs, covered in soft black leather, are arranged around the large conference table. 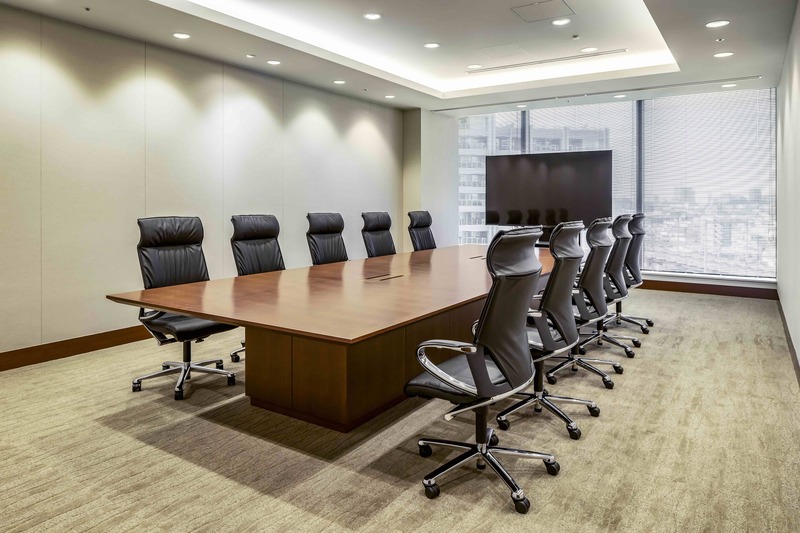 Graph is used in the large conference room for example. 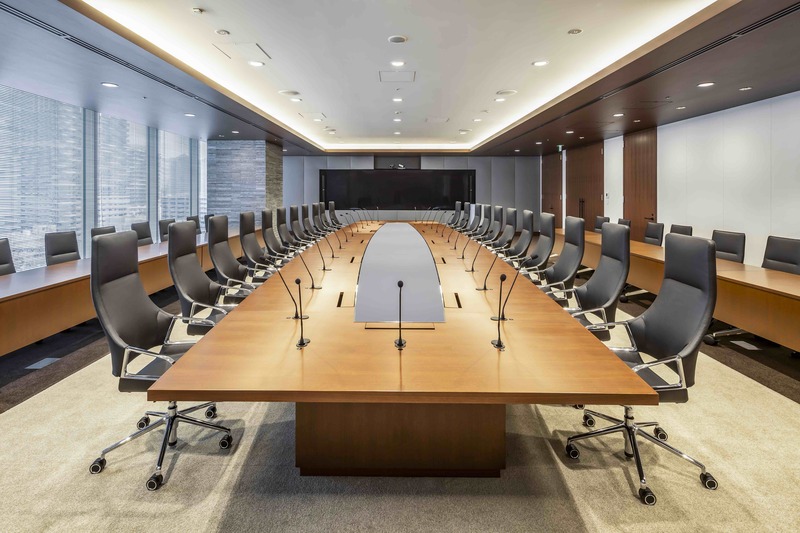 Some 24 of them, covered in soft black leather, are arranged around the conference table made of a gleaming reddish natural wood, which is positioned underneath a wooden-clad ceiling with integrated lighting. The main table is joined at the side by two long tables, each with eight Wilkhahn Sola conference chairs – also in black leather upholstery. While Graph and its stylishly curved lines introduce a soft organic component to the somewhat angular design of the setting, the linear Sola is deliberately understated. However, one thing both have in common is the subtle way they encourage users to engage in movement. To achieve this, Graph has a supportive leaf spring in the three-point support of the seat, which requires no further mechanism to achieve three-dimensional flexibility while people are sitting on it. Sola comes with a swivel-mounted seat shell, which, combined with two pressure springs, provides a comfortable rocking movement that’s adjustable to suit preferences. 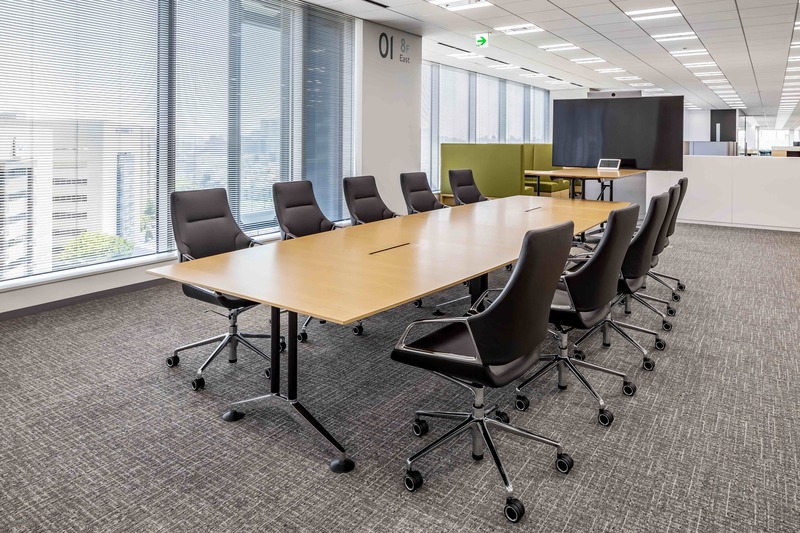 While a circular conference room and an open-plan lounge are also furnished with black leather Graphs, the architects picked Wilkhahn’s Modus chairs for one of the smaller meeting rooms. This features the executive version of the laid-back task chair with its distinctively curved armrests, headrest and flat cushioning in supple black leather. It creates an attractive contrast to the ivory-coloured interior and the natural wood table. 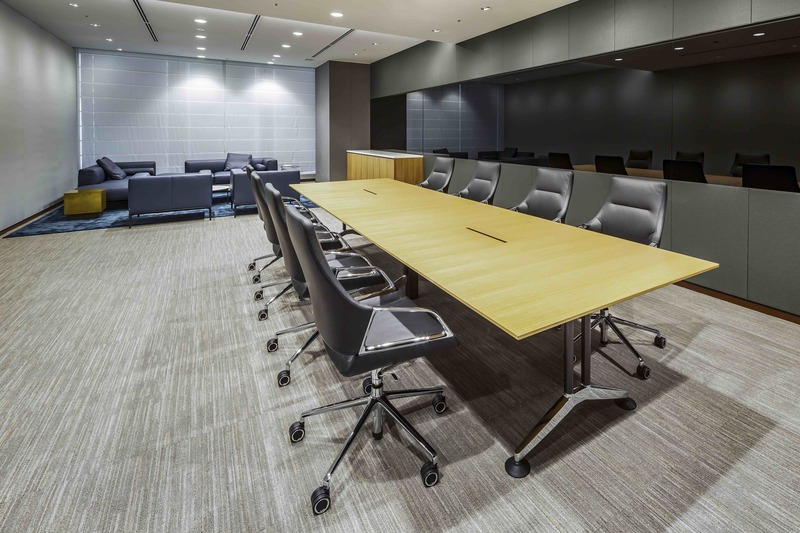 The team chose Wilkhahn’s laid-back Modus Executive model for one of the smaller meeting rooms. The Sega Sammy Holding’s auditorium makes a deliberate break with the dignified ambience of the company’s headquarters: it’s almost entirely in black with the technical infrastructure visible in the ceiling. The architects have conjured up an atmosphere here that plays with touches of an industrial aesthetic and an underground feel. 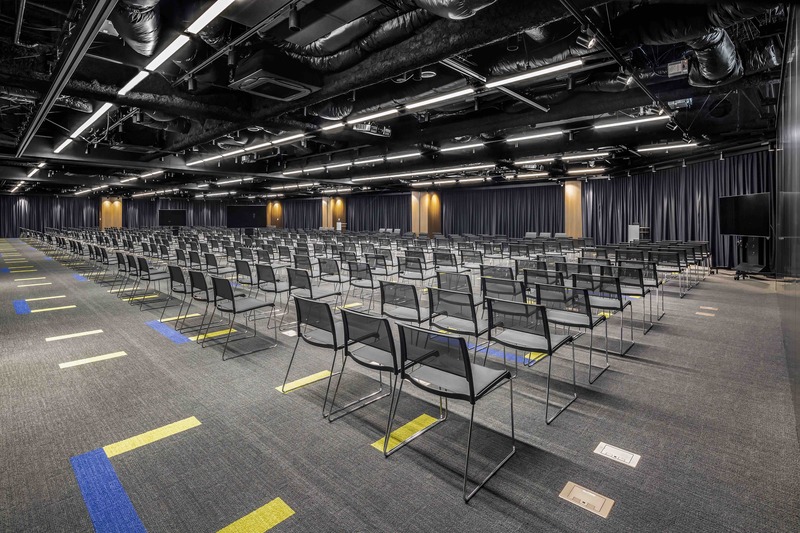 The auditorium’s seating comes in the form of Wilkhahn’s slender and stackable all-rounder Aline (design: Andreas Störiko), which almost looks as if it’s floating and lends the rough and ready appearance of the space an almost spherical look. 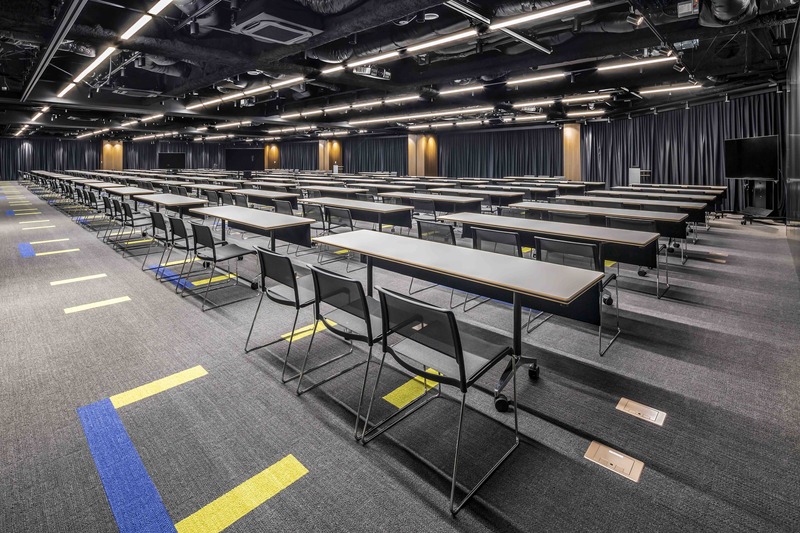 In conjunction with the mobile flip-top Timetable tables, which nest into one another compactly (also designed by Andreas Störiko), the comfortable, easy-to-stack chairs can turn the auditorium into a venue for talks, seminars, training courses or an unfurnished space for other activities in no time. Click here to find out more about the client, the Sega Sammy Group. 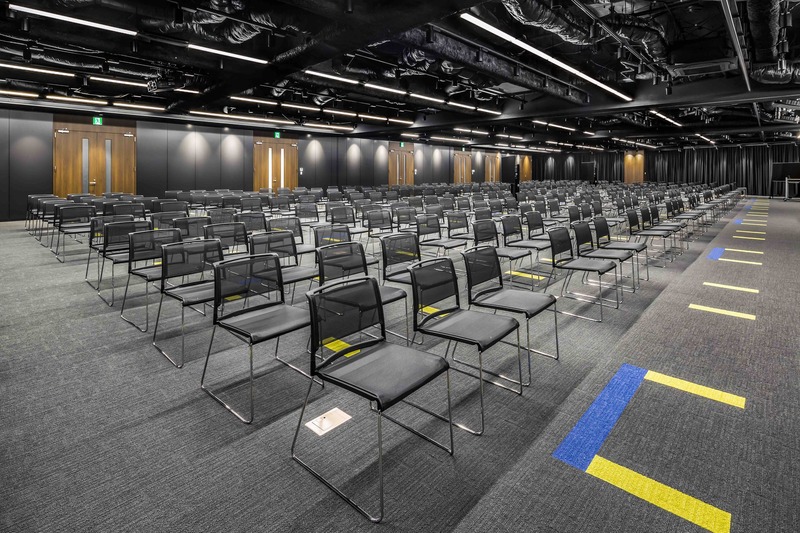 Click here for interesting info about the Graph conference chair. Click here for more information on the Sola office task chair. 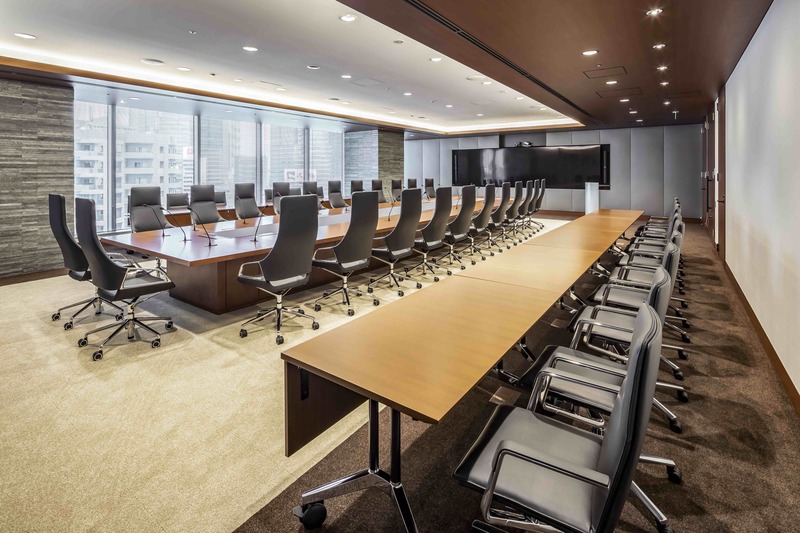 Click here for everything you need to know about the Modus Executive task chair. The sophisticated Aline chair gave the large auditorium an almost spherical touch.